Have you ever thought what it would look like to work as a travel agent? I used to be completely oblivious of this career until my life became one of those that requires a whole lot of traveling and it was only then when I realised the extent of such a job. Have you ever been overseas and thought: “ I would really like my friends to experience what I am experiencing right now”? 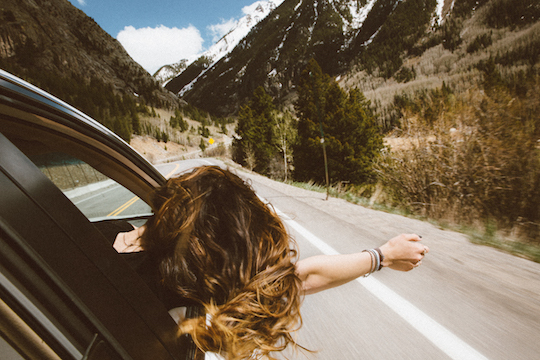 Or are you the type of person who always takes initiative when it comes to planning vacations and making a road trip a memorable experience for everyone? Then this job might be your cup of tea. Once you start working as a travel agent, you will realise how much people actually travel. From businessman to students, to families going on holidays and young backpackers, once you get to know the range of people who take the courageous step to see the world beyond their surroundings, the world will start feeling like a much smaller place. As a travel agent, you will not only have the opportunity of sharing your travel, entertainment and leisure knowledge with those who are still to discover all these amazing places. But you will also learn how to organise people’s journeys so they can make the most out of it. I can’t put into words how grateful I am for our travel agent, she has always made sure that we don’t miss a detail and that we have more than enough places to visit, and more than enough time to spend with the people we love. It might seem like a small thing to plan a trip for somebody else, but you have no idea of how much they appreciate this and how helpful it is for them. When you go on holidays, the only thing you want to do is relax and let your schedule tell you what’s next, thanks to the travel agents, you can not only relax and enjoy, but you can create your own schedule and get them to help you find the better deal for it. Watching closely the lives of people whose job requires them to travel more than 2 times a week, I have come to realise that if it wasn’t for their travel agents or assistants, they would not be able to cope with this lifestyle. Not many people realise it, but in order to be a good travel agent there are many skills that are required. Language is one of them, if you are able to speak different languages, you will be able to do your research in local pages instead of translated ones, which in the end helps you learn a lot more about the culture of the places you are taking people to than you would otherwise. Language also allows you to build rapport with the client if they are from overseas. Clients will always trust more those who speak their same language, because this assures them that they understand what they are looking for and know hoy to provide it. Another skill required for this job is more on the research aspect. Do you recognise a good deal when you see it? As you get more and more experience, you will start remembering what are the best days to fly, the best dates to visit a spot and the best places to stay at, and with all this knowledge you will be able to provide to your clients a far better experience than if you were not informed. Organisation is also a very important skill when it comes to this job, remember you will not be planning just one person’s trips, but you will be working with multiple customers at a time, which involves making itineraries, buying plane tickets, handling questions and researching. So if you want to work as a travel agent, it is very important that you have organisation as one of your priorities. And last but not least there is the vocation of serving. I call this a vocation because more than a skill, service is an attitude. Never take for granted the fact that you are helping people accomplish their dreams, you are in fact causing people’s minds to expand while their travel and their worldview to be enriched. So don’t get discouraged by the words of those who only know to complain about their once in a lifetime bad experience, instead, be happy with the fact that a person will never be the same after the experience you facilitated for them! Hope this helped you learn a bit more about the world of a travel agent! What else do you think this job involves? Do you think is worth the effort? Let us know!